Ganesh Is My Co-Pilot The Hindu god of wisdom leads two ladies on a tour of India in "A Perfect Ganesh." God takes center stage in two North Bay productions running through April 14. Sebastopol's Main Stage West transports you to 1840 and an Appalachian Heathen Valley while Petaluma's Cinnabar Theater takes you on a passage to India in search of A Perfect Ganesh. Heathen Valley is referred to in the play as "the land that forgot God" and an Episcopal Bishop (John Craven) is determined to correct that by bringing God to the North Carolina mountain community. The "violent, carnal and heathen" locals are represented by Juba (mollie boice), a midwife and a woman of unerring common sense, Harlan (Elijah Pinkham), a true mountain man who's just buried his wife and sister (they are the same person), and Cora (Miranda Jane Williams), the mother to Harlan's infant daughter who wishes to be Harlan's wife. The role of religion in society and the fuzzy line that separates superstition's "charms and spells" from organized religion's garments and practices makes for a very interesting drama under the co-direction of John and Elizabeth Craven with Bordi and Pinkham doing particularly fine character work among an excellent cast. The elephant-headed Hindu god of wisdom, success and good luck serves as the narrator in Terrence McNally's A Perfect Ganesh. Director Michael Fontaine reteams with performers Elly Lichenstein and Laura Jorgensen to remount a production they first did at Cinnabar 19 years ago. Margaret Civil (Jorgensen) and Katharine Byrne (Lichenstein) are best friends who don't really like each other. Trading in their usual two weeks of shared vacation in the Caribbean for a tour of India, these two ladies have issues—issues with the world, issues with each other and issues with themselves. Ganesha (Heren Patel), the "remover of obstacles," does his best to assist the ladies in overcoming their own. Jorgensen and Lichenstein play well off of each other. John Browning's work as every male character they meet along the way is quite entertaining and Patel's Ganesha is a warm and welcoming figure, though his ornate headgear often led to muffled dialogue. This play's greatest obstacle is McNally's script, which is overwritten and overlong. 'Heathen Valley' runs through April 14 at Main Stage West, 104 N. Main St., Sebastopol. Thu–Sat, 8pm; Sunday, 5pm. $15–$30. 707.823.0177. 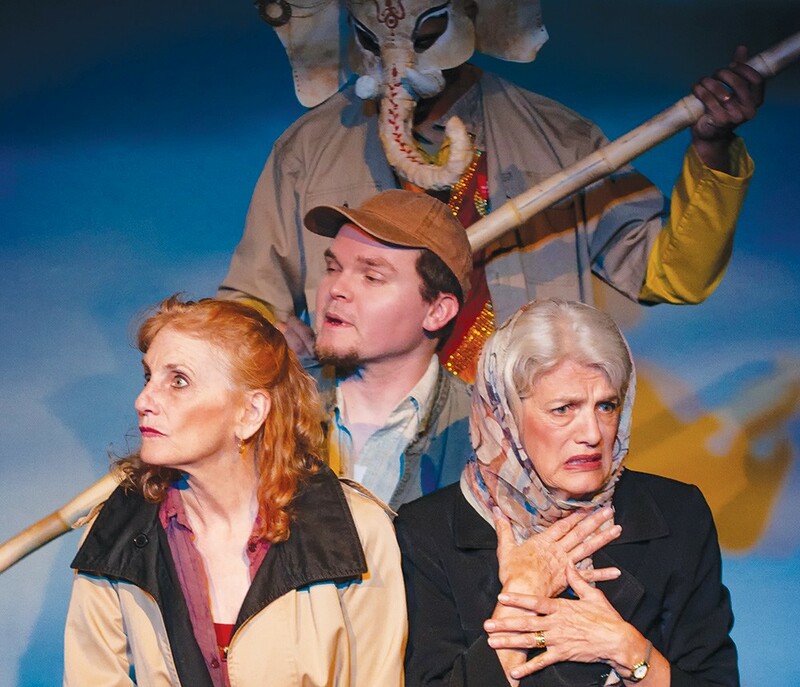 'A Perfect Ganesh' runs through April 14 at Cinnabar Theater, 3333 Petaluma Blvd. N., Petaluma. Fri–Sat, 8pm; Sun, 2pm. $15–$30. 707.763.8920.